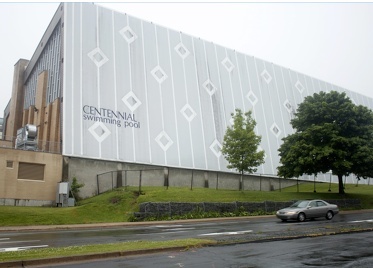 On January 29th, 2014 the Centennial Swimming Pool in downtown Halifax re-opened after months of renovations. This completed the final phase of nearly $5M in renovations to the facility to improve and extend the operation of the facility to be more user-friendly for swimmers of all ages and abilities. As part of these Phase 3 Locker Room Renovations, EastPoint provided Mechanical & Electrical engineering services as part of the complete renovation of 4,000 square-feet of interior locker rooms and lobby area. EastPoint provided demolition plans, new construction drawings & specifications along with support during the construction and commissioning of the pool. EastPoint provided Mechanical Engineering services, led by Nick Tobin, P.Eng. for the installation of all new underground and aboveground plumbing, infloor heating, digital controls and new washroom fixtures including custom showers and barrier-free fixtures. EastPoint provided Electrical Engineering services, led by Brent MacDonald, P.Eng. for the installation of new lighting, power & receptacles, security, fire alarm, IT and communications. EastPoint was excited to undertake this challenging renovation project with HRM and is very pleased with the completed construction. We look forward to working with HRM again on future endeavors. For more information, have a look at these articles about the pool re-opening here and here.